And Another Thing...: Bodies Moving In Space: Is That All There Is? Last weekend a dear friend invited me to see Ballet du Grand Theatre de Geneve at Meany Hall on the University of Washington campus. The company was going to perform a piece by the Israeli-born choreographer Emanuel Gat. 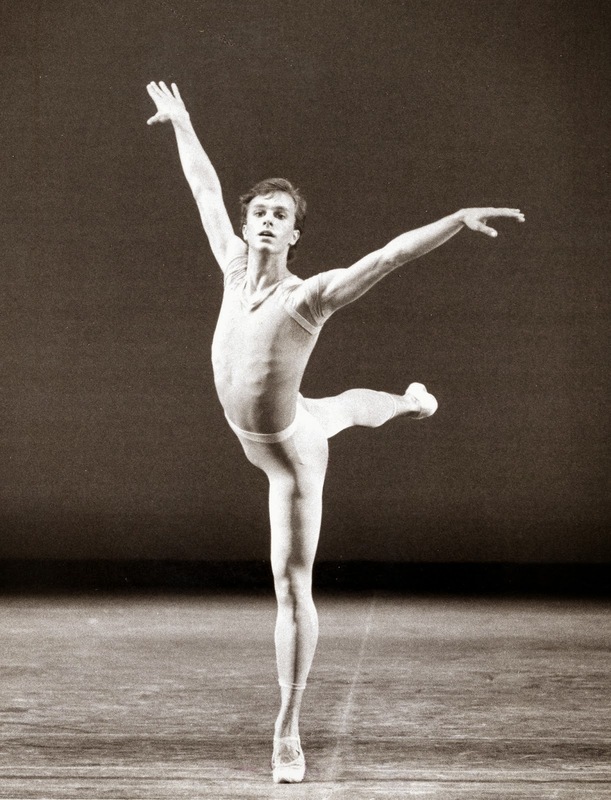 I'd seen Gat's work a few summers ago, at the American Dance Festival. I had an immediate negative reaction to it. But I still remember the dance, so I figured, why not see what he was up to? Set to music by Johann Sebastian Bach, performed live onstage, "Preludes et Fugues" was a series of high powered vignettes. At first, I was intrigued at the technical prowess Gat's work demanded from these dancers. Then, when the tempo of the piece never altered, my intrigue gave way to boredom. It was a lot of "sound and fury, signifying nothing." What a waste of good dancers! I left the theater thinking about that catch-all definition of dance: bodies moving in space. Are these moving bodies enough to make something artful? At the top of this post you'll see a photo of some of the beautiful dancers who performed Gat's work in Seattle. They were skilled, they were lovely. It was the dance that was empty. Writing about this dance got me to thinking about artfulness as embodied in artists. Recent I read a book by evolutionary biologist Jared Diamond. He cites art-making as one of the key differences between contemporary humans and Neanderthals. In other words, the ability to create is what separates us from the rest of the animals on our planet. Does that mean all creators are artful? Is a modicum of artfulness inherent in all artworks? Is it something you can teach dancers? 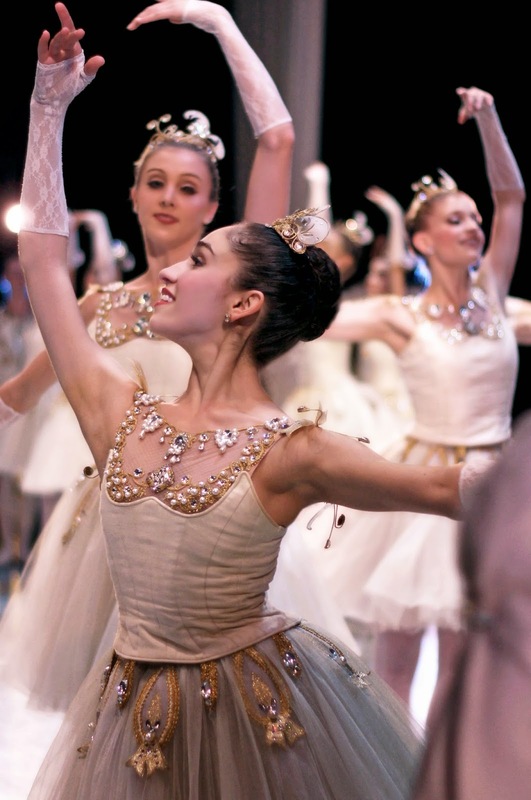 PNB Corps de Ballet member Leta Biasucci in George Balanchine's "Diamonds." I'm mentoring a colleague right now; she's producing her first dance story for radio, a profile of young Pacific Northwest Ballet corps de ballet member Leta Biasucci. I chose Leta as the focus of our story about aspiring dancers, because when I watch her onstage, I get the sense that there is more to her than a body moving in space. Her boss, PNB Artistic Director Peter Boal, told me Leta has an inherent artistic sensibility and presence, "which is something really hard to teach." Boal says "some dancers never really get that." I imagine that's true of some choreographers as well. Or dramatists, or classical instrumentalists. Or writers, for that matter. There are Seattle dance artists who I have loved over the years. The sublime Lucien Postelwaite comes to mind immediately (oh, how we miss you!). Catherine Cabeen is another; Zoe Scofield, Ami LeGendre, KT Niehoff. The list goes on. Each of these people can imbue a performance with that intangible extra...something. They can elevate even some mediocre work. I have only seen Peter Boal performing in his prime through the miracle of videotape. But I did see him onstage in Seattle a few years back, at a Men In Dance Festival. Boal performed a solo choreographed by Donald Byrd. There wasn't a lot to the dance; I think Boal was 43 at that time, well past his physical peak. But he managed to captivate the audience simply by looking over his shoulder. I remember thinking at the time that Boal must have been quite a stage presence in his heyday with New York City Ballet. Which brings me back to Emanuel Gat and Ballet du Grand Theatre de Geneve. Some beautiful technical moments, some lovely dancers. But it was like a nonstick pan: four days later and I retain barely a trace of the evening. I guess, as the saying goes, 'you pays your money; you takes your chances.' That's about gambling, but it's equally true of a performance. Each time we enter a theater, we have high hopes that we'll experience a moment of artfulness, something transcendent. I guess the fact that those moments aren't a dime a dozen makes them all the sweeter when we find them. You are able to purchase on the internet or from designated retail outlets.More information on watch-moviez-online click here. Your internet bandwidth is simply used in 123 movie and you're spared from any subscription. The number of films out there in the internet movie websites will certainly impress you. If you are more curious about 123 movie then you can learn more about it on xmovies8net.org. The web site has made titles according to genres so one can visit the channel they desire to see and then pick the specific movie on solarmovie eu. For those who wish to watch movies online, there are plenty of websites on solarmovie. Later, test yourself to see whether you may read on movie4kmovies the word or mix of words correctly. The Lego Movie Videogame is among the better movie tie-in games out there, and it might even get you to observe the film when you haven't already. Site offers some in-depth insights on 123movies online free. Free content readily available in your region proceeds to remain so. Learn about putlockerfreemovies on putlockerfreemovies.org. Impressively, the new watches will stay the identical compact size as the preceding generation. You can find more details on xmovies8online on the web site. There are lots of sports streaming websites to be found on the net. More information on movie4kmovies this site. In terms of the fmovies.accountant are involved, in case you have missed any of them, read their reviews and catch them when you are able to. If you go to the website of 123movies, make certain that your computer is protected with a firewall.